The chairman of Ferrari says he does not believe in electric cars and that his company will never make one. Luca di Montezemolo's comments will anger many who say electric cars offer the only environmentally-friendly future for the industry. He said: "I don't feel they represent an important step forward for [fighting] pollution, CO2 and the environment." He said instead that the company was working on other alternatives. 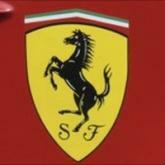 "We are working very, very hard on the hybrid Ferrari," he said. "This should be the future and I hope in a couple of years you'll see it." Despite a slow take up of electric motor technology the car industry has over recent years begun to invest heavily in it. Nissan is one of the big manufacturers to commit to the idea with its Leaf design one of the first to go into mass production. German car maker BMW is among the latest to announce its plans. It recently unveiled two new models which will launch its new electric motoring division BMWi. The i3 is an all-electric small city car, while the i8, a powerful sports car, combines an electric motor with a three-cylinder combustion engine. Despite dismissing a fully electric model di Montezemolo says he is ready to embrace any technology that will make Ferraris more efficient. "We have improved fuel consumption 30% and we are working day and night in this direction," he said. "[Also] the Kers (Kinetic Energy Recovery System) that we are using in Formula 1 is an innovation that we will put in our cars very soon."